Create a website that sells your brand with our ecommerce website design Sheffield services. The world of business has seen a drastic change over the last few years, resulting in a huge need for an online presence. With more and more potential customers booting up their laptops and launching shopping apps instead of walking into a physical store, we need to ensure that we are searchable online and that the right people can find the products they need. 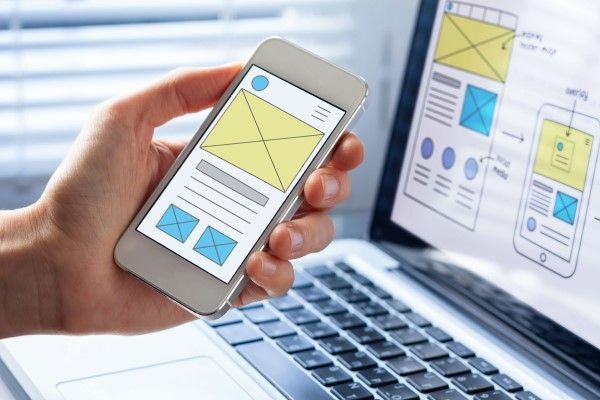 With our ecommerce website design Sheffield services, we can work with you to create a professional website and ensure it is found by your customers. Why choose our ecommerce website design Sheffield? If you’re reading this, you’ll probably know some of the positive aspects of an ecommerce website already, and why your business will benefit from one. 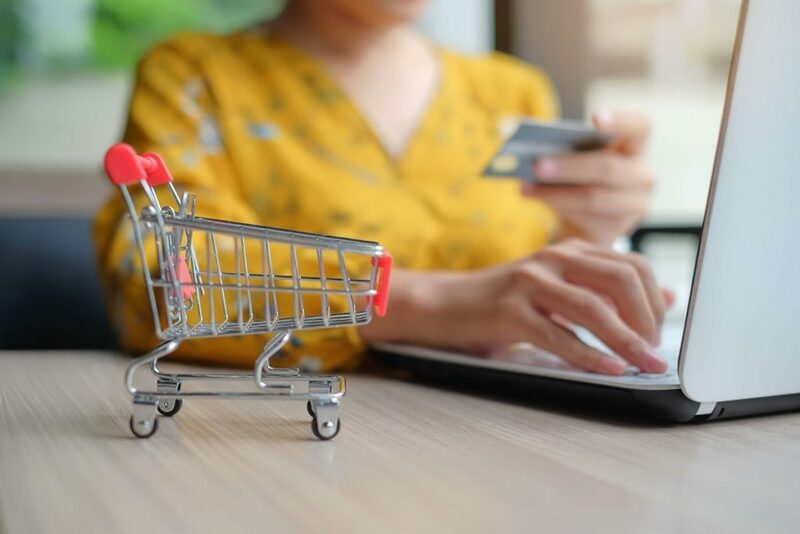 Not only is an ecommerce site great to reach a wide range of markets, but it also makes things more accessible and convenient for a potential customer. An online shop is an important part of marketing your business, so if you’re selling products to the public, it makes more than enough sense to have one! How can we make your website the best it can be? You can’t have a great looking website without grabbing the right web team to work with you. At Bigfoot Digital, we have an expert website design team with years of experience. We’ll work alongside you and your team to provide an entirely bespoke website which fits your business needs and brand. Throughout each step of the way, we keep you involved with meetings and regular contact, making us stand out from every other agency out there. We always put our clients first and treat each web build as if it was our own. A secure site and checkout process. Every web build we carry out goes through extensive security checks. You wouldn’t want a new website to go live on the web, only to find that it’s getting penalised by Google for not having an up to date security certificate! Your customers also wouldn’t want to enter their card details or make a purchase on an unsafe site. Not only will you lose more custom, but your search engine rankings will take a hit too. Google favours secure sites over insecure ones! One of the main reasons why people leave a website quickly is because of a poor loading speed or that a site is particularly difficult to navigate around. We put all the necessary checks in place to improve site speed and to ensure that a user can find their way around your site without any hiccups. The simpler the interface, the more likely it is that your customer will stay and browse for longer, and even make that all important purchase at the end of it! As the saying goes, content is king! We have a dedicated team of in-house content writers to produce fully SEO optimised copy for your site. Not only will this ensure that your website and it’s pages get picked up by search engines, but when done properly, it can even see you ranking highly on page one. Our ecommerce website design Sheffield team will carry out in-depth keyword research and identify what your target audience is searching for online. We’ll then ensure we get your pages ranking for all those essential key terms. These days, a website isn’t only viewed on a standard desktop computer. Think about tablets and mobile phones – these devices are so much more convenient to use for a customer, and can easily be picked up on the go. Saying this, you’ll need a website that is responsive, no matter what device your customer is viewing on. If your customer has multiple ways to view your site and purchase products, you’ll automatically be a good contender for custom. We always make sure that this is the case and that your user has the best possible experience. Give our ecommerce website design Sheffield team a call today. To ensure your customers get the very best of you, you need a website that delivers, every time. Gone are the days where you need a physical shopfront to entice your customers – an online store is where you’ll bring in a ton of custom. We’re not just saying that! After an initial meeting or phone call to discuss our plan of action we’ll get to work on a proposal. We’ll keep you in the loop each step of the way and ensure that your ideas and business goals are at the forefront of our minds. We strive to create the best possible websites for our clients and are confident that you’ll never be disappointed in what we do. With regular communication and updates, you’ll be in the best possible hands with our agency. For more information about what we can offer you and your business or if you’d like a question or two answering, then get in touch with our friendly team today by calling us or dropping us an email to enquiries@bigfootdigital.co.uk. Whether you’re in need of a brochure website or ecommerce website, SEO services or a brand new social media marketing strategy, we’re the agency for you!